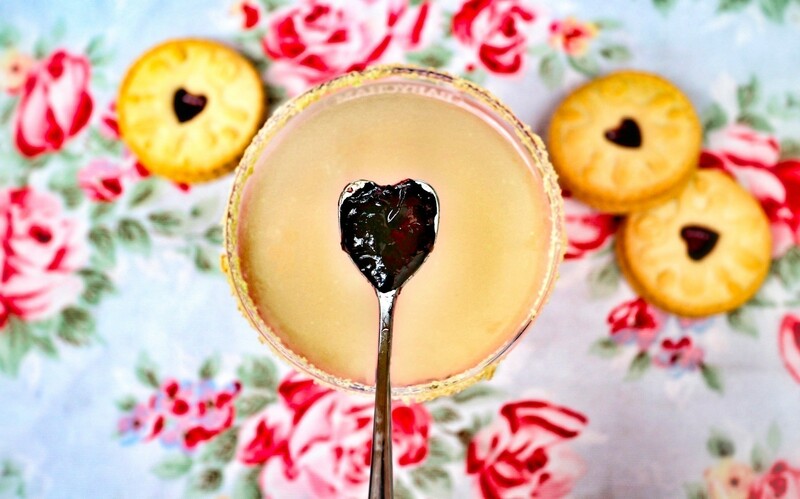 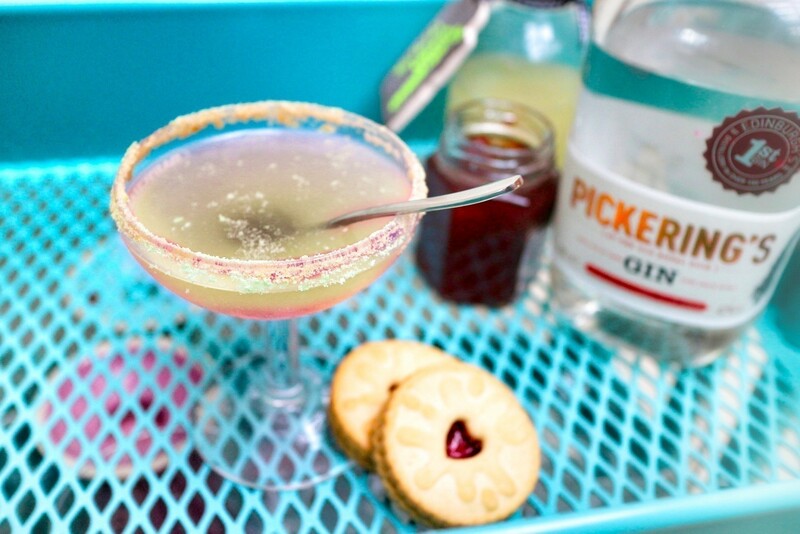 A Jammie Dodger inspired jam, gin & shortbread vodka cocktail! 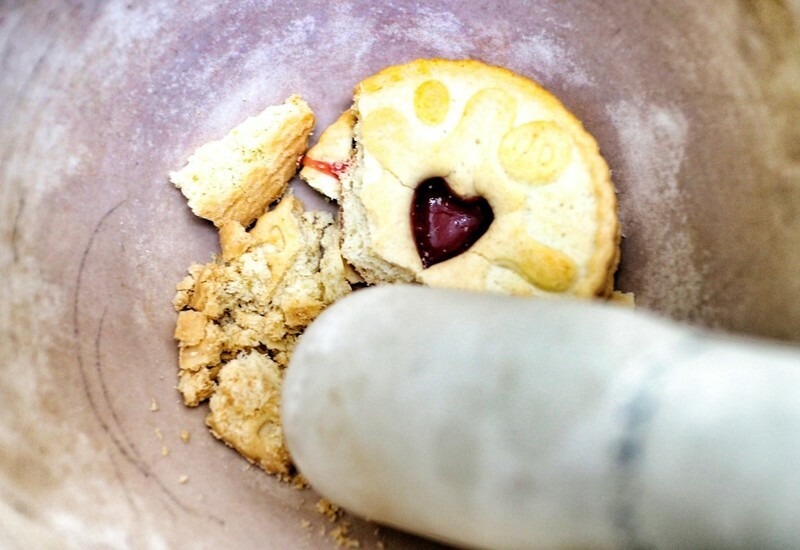 Crush up a Jammie Dodger or some shortbread with a mortar & pestle. 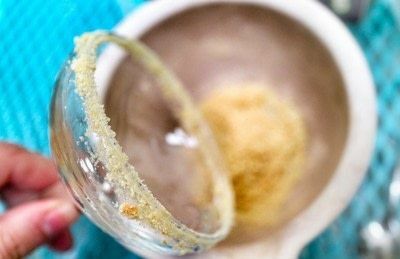 Run a martini glass under water and then roll the tips in the crushed biscuit to dust the edges. 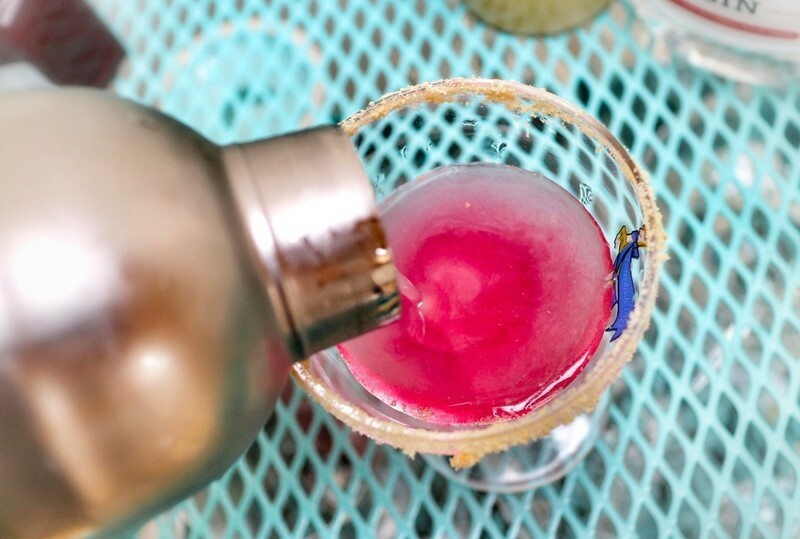 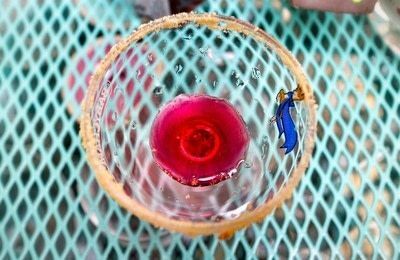 Pour a little grenadine into the bottom of your glass. 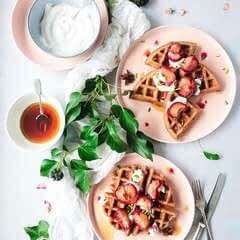 Serve with a spoonful of strawberry jam!